The public is invited to attend an Open House Public Meeting at the West End Presbyterian Church: The Crawford Center to discuss the proposed widening project. The open house public meeting is held to provide the public the opportunity to participate in the project planning process. Maps of the project are will be on display and the project study team will be available to answer questions and receive comments. Comment sheets will also be provided which can be submitted to Ms. Aileen Mayhew via mail, phone, or email by August 24, 2017. 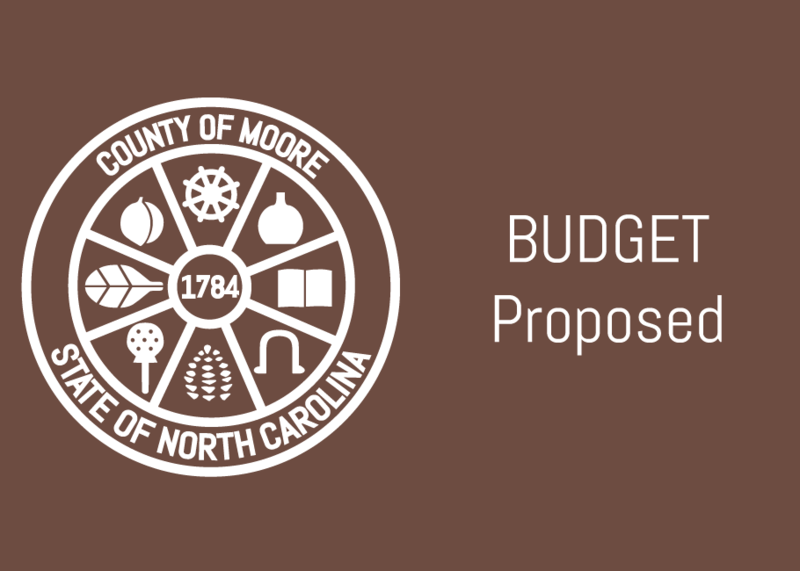 Following several months of research, analysis, and meetings, the Moore County Board of Commissioners unanimously adopted the fiscal year 2018 County budget during a regular meeting on June 20, 2017. The budget is balanced at $136,181,559 and provides a fiscally sound and responsible blueprint for administering the revenues and expenditures for fiscal year 2018. Consistent with principles guiding its development, the adopted budget prioritizes education, public safety, and public health. Additionally, in response to potential financial pressures on Moore County Schools created by shortfalls in State funding, the commissioners assigned $1,700,000 to be available from the County’s fund balance to ensure the current level of services provided by the Schools is not diminished should those impacts be realized when the State adopts its budget. While the property tax rate remained $0.465 per $100 of valuation for the coming year, the County is facing numerous operational cost increases and capital projects, including a new courthouse and several new schools, and a tax rate increase will be on the table for consideration beginning in fiscal year 2019, though the commissioners are considering several mitigating factors to reduce that amount to the greatest extent possible. The commissioners strive to provide for excellent services with the least impact possible on the County’s citizens and they have succeeded in that endeavor with the adoption of the fiscal year 2018 budget, which also provides a solid foundation for subsequent years. Every shelter dog deserves the comfort of a Kuranda bed. Why not give a gift that will bring comfort to the homeless pets (or two) for years! By donating a Kuranda bed to the Animal Center of Moore County you will provide a dry, soft, comfortable place for them to sleep during their time at the shelter.